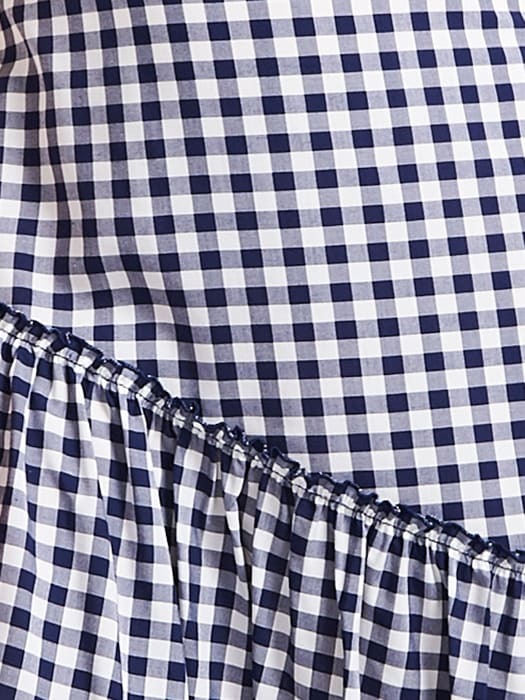 Gingham’s top of the style slate RN. 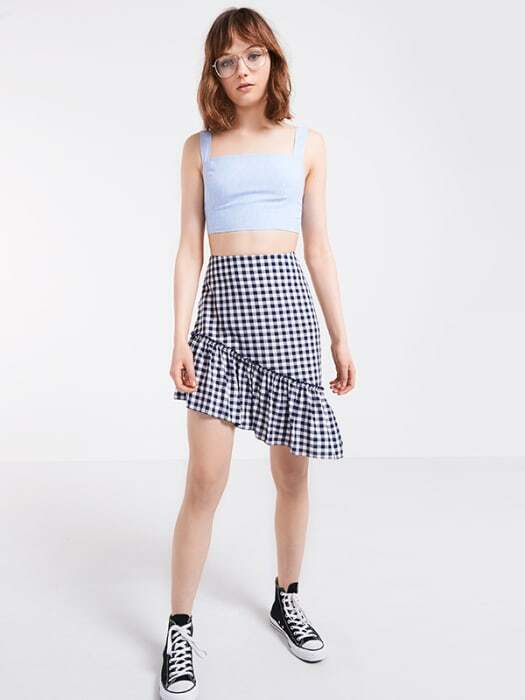 Trump the trend with this navy and white Check Mini Skirt, characterised by its asymmetric hemline and trending frill detail. 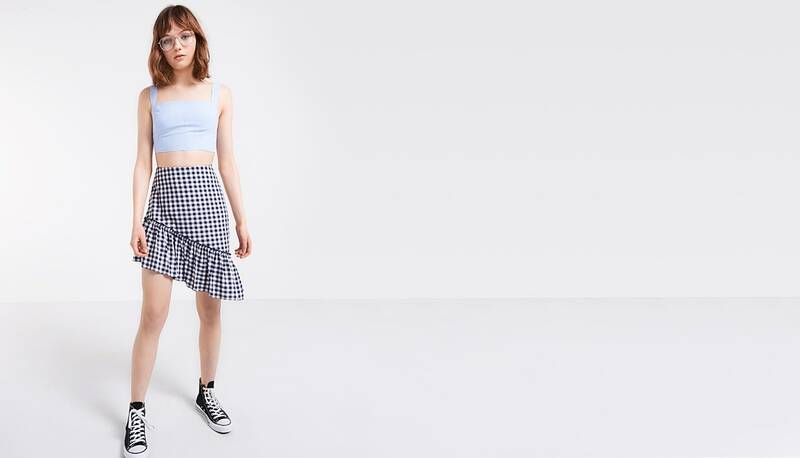 In a high waisted shape, work the cut with a crop top for the ultimate in contemporary-cool.